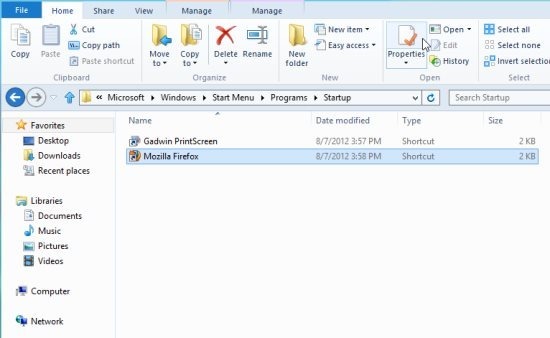 Here, is a step by step tutorial on How to add applications to the startup folder of Windows 8. Startup folder is present there in every version of Windows, since the beginning of windows OS. Startup folder in Windows basically let’s the user to choose the applications to automatically start with the windows startup. But, if you are using Windows 8, then it would be difficult for you to find and use the startup folder in Windows 8. However, by following these simple steps, using startup folder in Windows 8 becomes easier, as you can easily add application to the startup folder. Follow these steps to add applications to startup folder in windows 8. Press Window + R key to launch the Run dialog window. 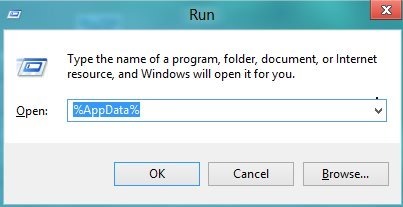 Enter %AppData% in the run dialog box and hit the OK button. This will result in the generation of your AppData folder structure, which appears in the address bar. Now, you need to paste \Microsoft\Windows\Start Menu\Programs\Startup after appdata folder structure generated in the address bar. Go to the app shortcut of the application which you wish to add to the startup folder. For adding an app you need to simply press and hold the right mouse button and drag the application shortcut to the Windows 8 startup folder. This prompts you with few options, so you need to select Create shortcuts here option. That’s all you need to do, for adding your desired application shortcuts to the startup folder. On windows startup, the applications added to the startup folder are automatically executed. You would also like to check other Windows 8 tutorials posted by us. Go ahead and follow these simple steps to add application to the startup folder. How would you do this only for a selected user and not all users?